On Tuesday 8th August, there was a planned contact between the ISS and YOTA at 1837 UTC, so I decided to have a listen. There was an issue with the ISS VHF downlink during this pass, so the contact was rescheduled to the next pass, at 2015 UTC. You can hear Paolo IZØJPA apologise for the technical issues they had on the first pass at the beginning of the contact. I was lucky enough to be able to hear both GB4YOTA and NA1ISS from my location, as the YOTA station was operating from Gilwell Park, which is only 18km NW from my location. The video below shows my reception of the contact. Antenna was a Diamond X-50 on the house, into an Icom IC-7100. I recently built a quarter wave ground plane antenna, so that I could get back on the 4m (70MHz) band. I have made a page showing some images and construction details of this antenna which can be seen here. 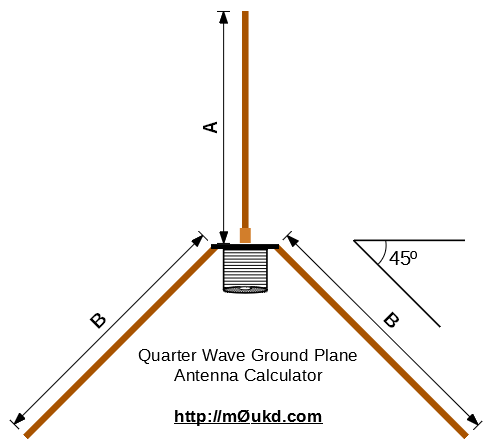 Click the image to view construction details of the 70MHz quarter wave ground plane antenna. In commemoration of the 20th Anniversary of ARISS, a Slow Scan Television (SSTV) event took place between the evening of Thursday 20th July until the morning of Monday 24th July. The International Space Station (Russian Segment) was transmitting a sequence of SSTV images showing the history of ARISS on a downlink frequency of 145.800MHz in FM mode and PD120 SSTV mode. It’s been a year to the day since I last posted an entry here. I have had quite an inactive year with regards to the hobby. Work takes priority of course, but I will get out and about this year and posting a bit more on my blog / pages. I do have some things to update and new pages to add when I have the time such as constructing a 20 element 1.3GHz Yagi, building a 1.3GHz system & some PSU reviews. l also have a few messages and comments to reply to which I am getting through slowly.